Am I the only who finds themselves craving something slightly sweet as the weather becomes significantly arctic? And with these biting chills, my sweet tooth just isn’t satisfied with anything randomly sweet either. It demands a treat that is going to satisfy its yearnings, as well as sooth and comfort wintry bones. It must be something irresistibly decadent, whilst dangerously balancing between the savoury and sweet line. Something no humble chocolate chunk cookie can sate. I guess such longing comes down to that childhood favourite of hot chocolate. That perfect commodity for below freezing cold days. Except I don’t fancy hot chocolate these days. I happened to cease that affair many years ago. So what is a girl to do? 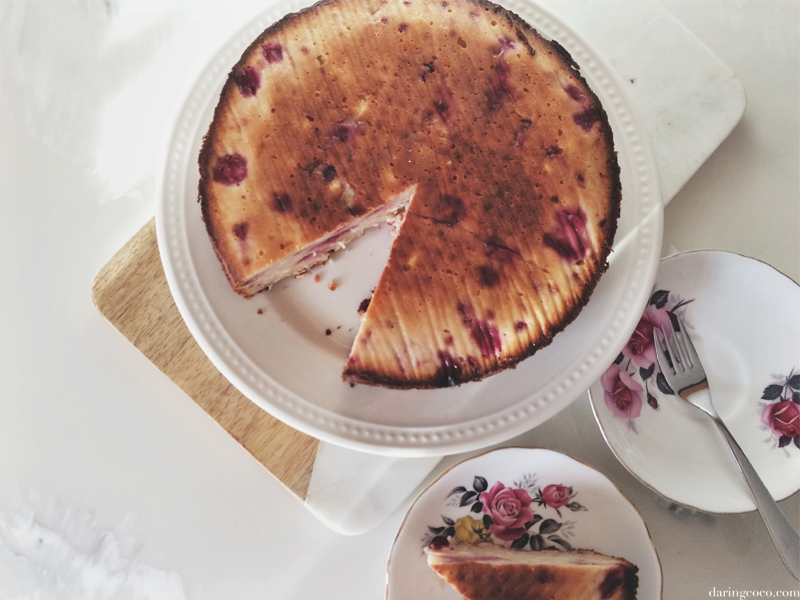 While cheesecake is almost always the answer (lets face it, when is it not?) I was still itching for something a little different. Something that is essentially the same, but different. So in rides this ricotta cake, proverbially astride a gallant white steed. Trumpets are a blazing. Vibrant banners baring house coat of arms are strung. 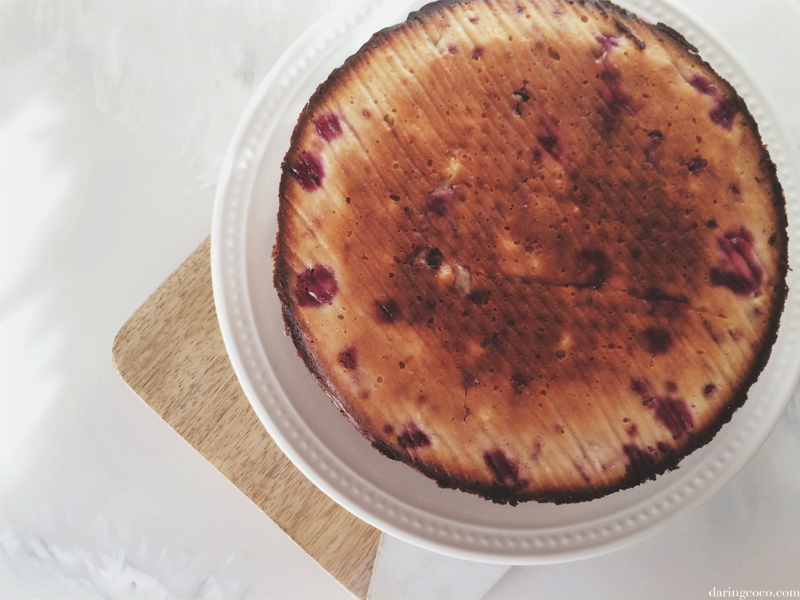 I found this recipe for a ricotta cake over on Carrie’s Experimental Kitchen and immediately my sweet tooth began chanting its praises. Not only was ricotta cheese involved but raspberries and lemon was also invited to the party. And we all know how partial I am to lemon anything. I hadn’t actually baked with ricotta in the longest of times. And truthfully, ricotta is something I am rather fearful of. For me, it’s not something I feel like you can mess around with too much. You’ve got to stick with the measurements or disaster is bound to strike. Which as history will show, is inevitable if your name is Sonia De Macedo. So what did I do? I changed it up. Not too drastically but enough to make a right kerfuffle. 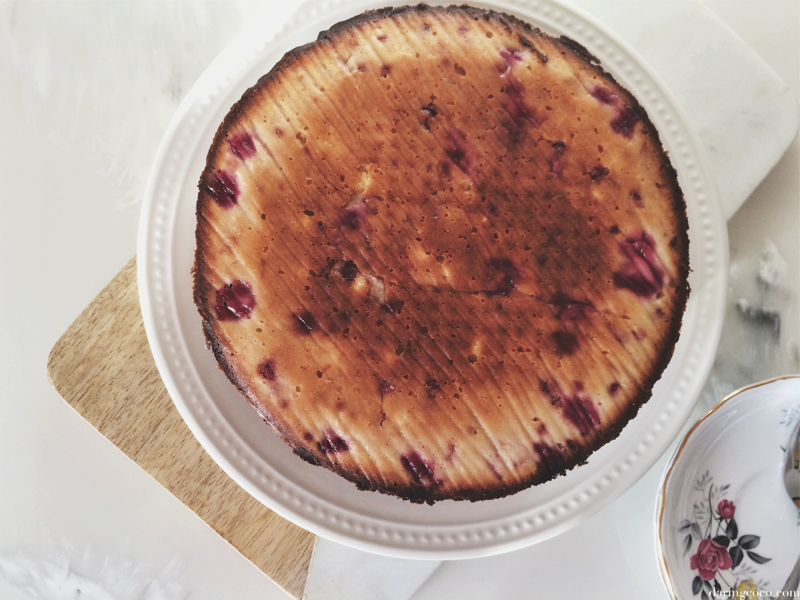 I had a “genius” idea to use a small cake tin for this ricotta cake. The one I’ve become increasingly obsessed with lately, and obsession I blame Pinterest for. Unfortunately my ricotta cake did not cook through evenly. Not like it would have had I used the proper tools. It was still edible, but nonetheless a somber shame considering how enticing this ricotta cake looks and sounds. Not all hope is lost, I have every intention of producing this little number over the weekend. Though I might increase the lemon to flavour it more dramatically and possibly increase the sugar too. What could possibly go awry? Check out the recipe from Carrie’s Experimental Kitchen.